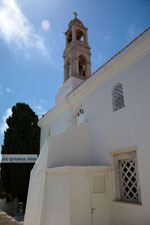 Steni. 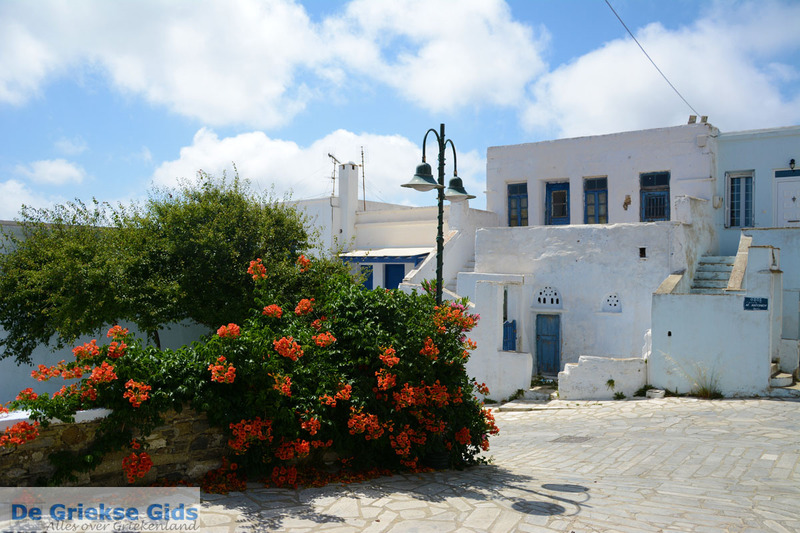 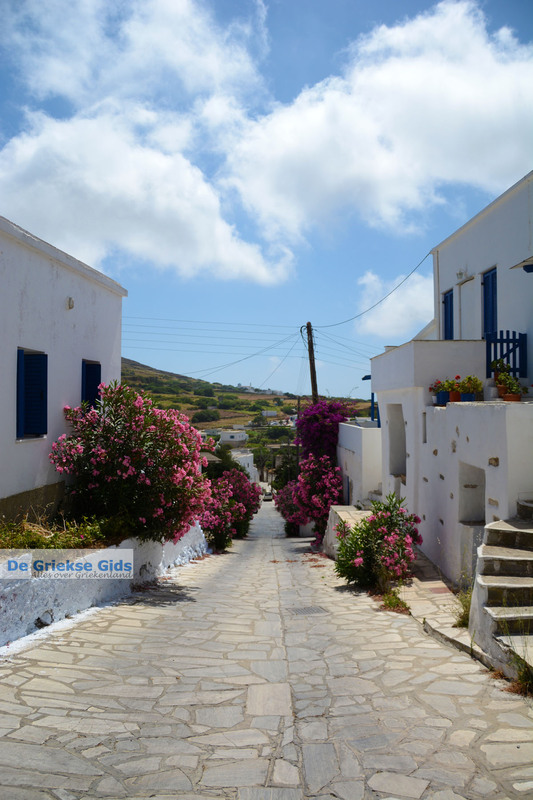 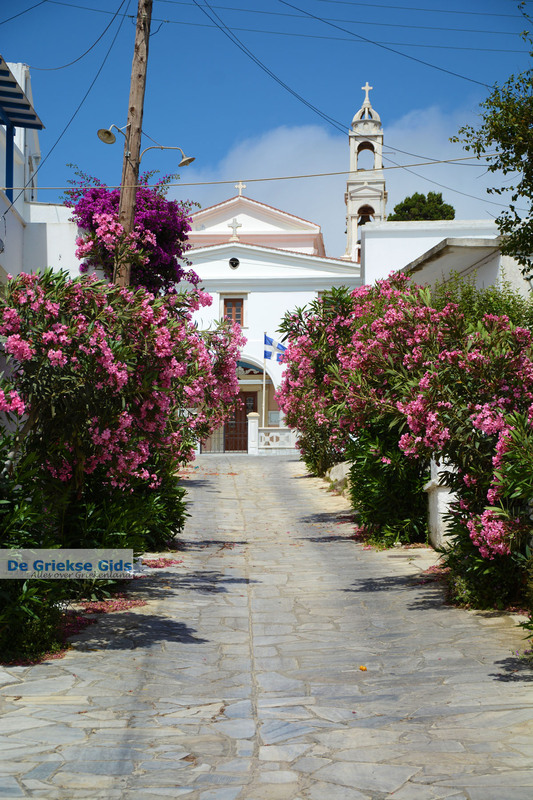 Steni (which literally means "narrow") is a traditional village on the Greek island of Tinos, 11 kilometers (7 mi) north of Tinos Town (Chora). 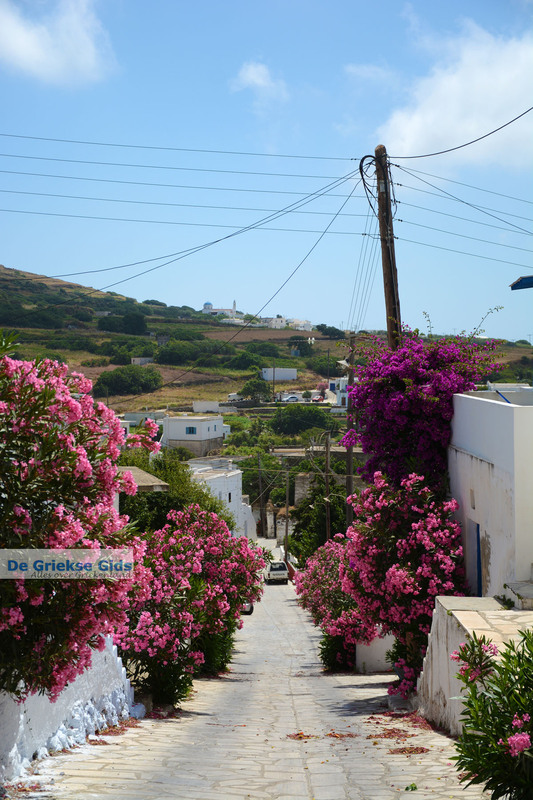 It is located west of Tsiknias, the highest peak on the island. 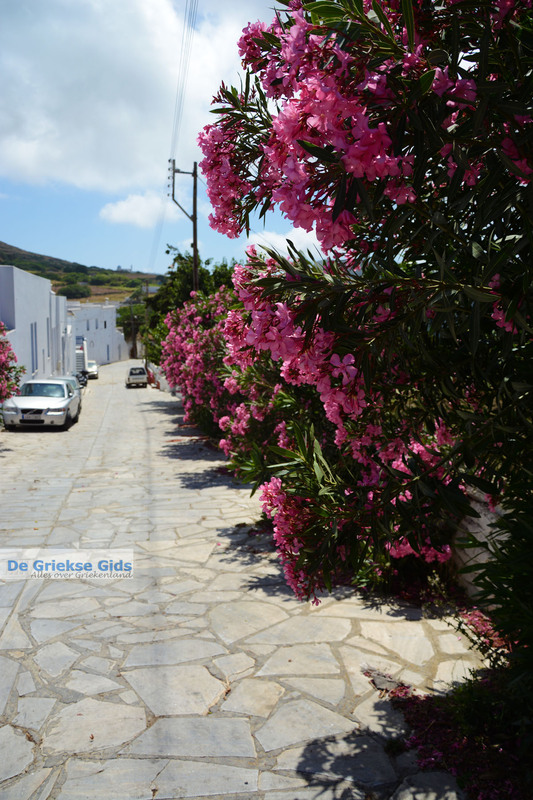 Steni, which has around 300 inhabitants, is located on a plateau 400 meters (1,300 ft) above sea level. It is one of the most populated villages of the island. 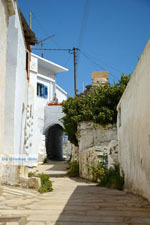 White houses, narrow stone alleys, houses with blue doors and window frames and arches connecting the houses, are some characteristics of the village. 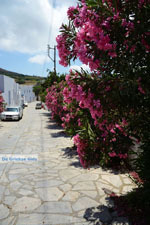 The area has plenty of flowing water, and the village lies in the middle of a lush environment. 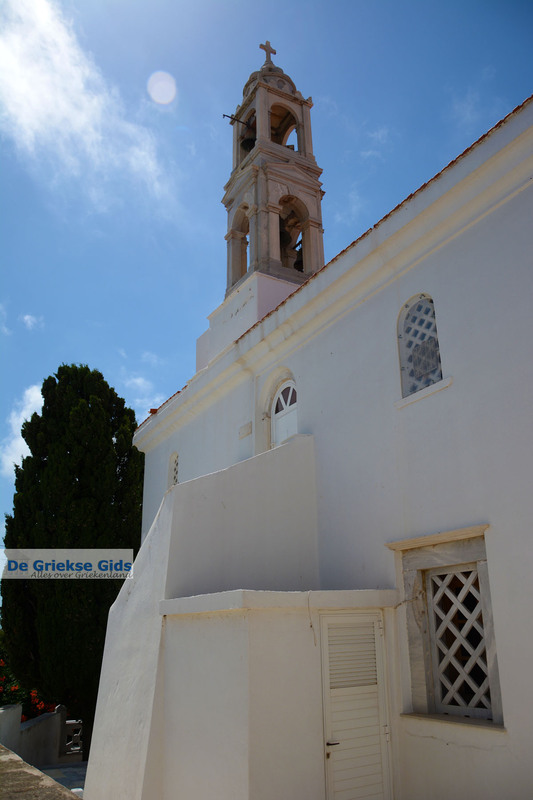 In Steni is the Orthodox church of Aghios Antonios with the wooden iconostasis and icons of the 17th and 18th centuries. There are several taverns, a cafeteria, cafes, a bakery and various other shops. 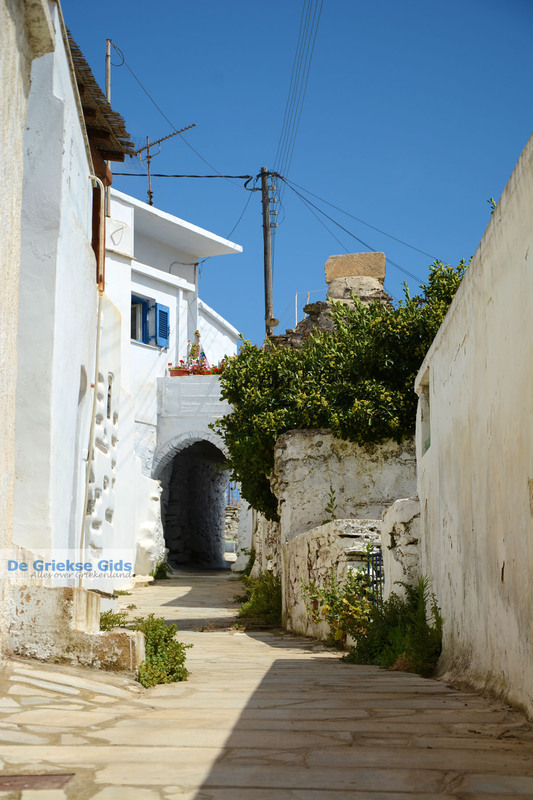 In the village has an ethnological museum. Steni comprises three districts; Sporado, Kato Steni and Kamari. 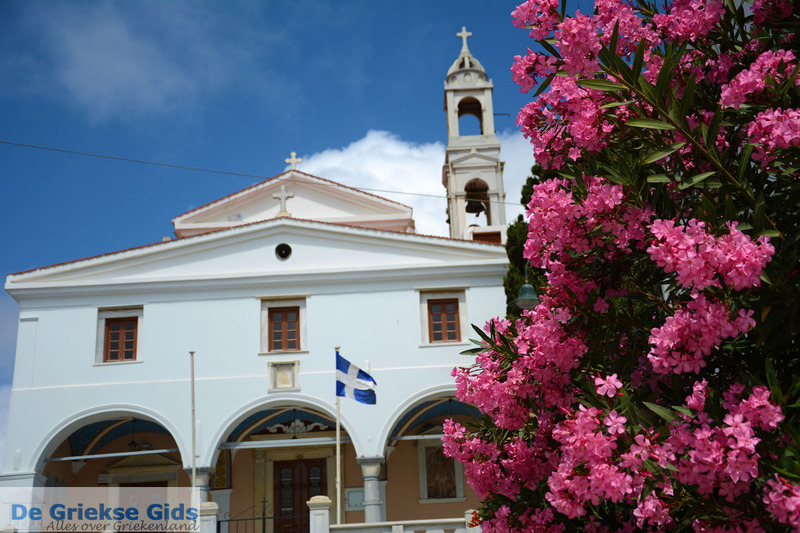 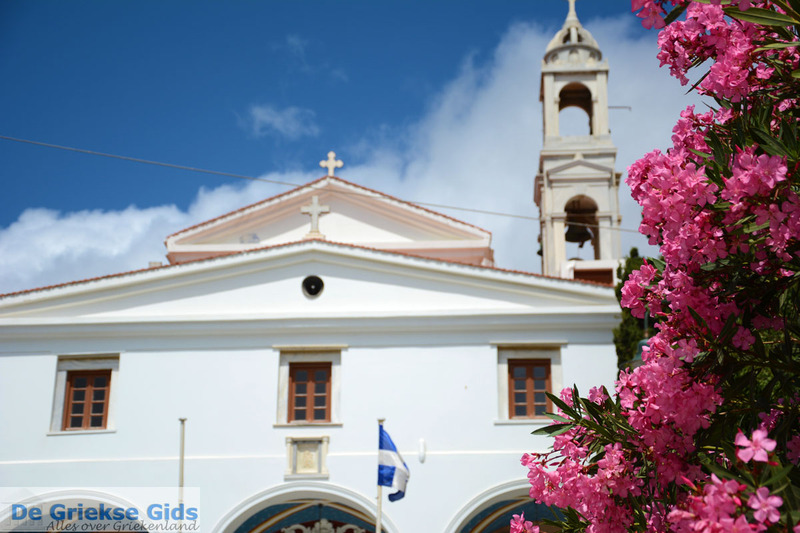 In Kato Steni is the Catholic Church of Aghios Nikolaos. 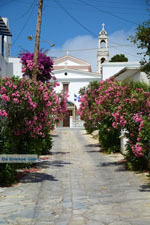 The village has a mix Catholics and Orthodox. 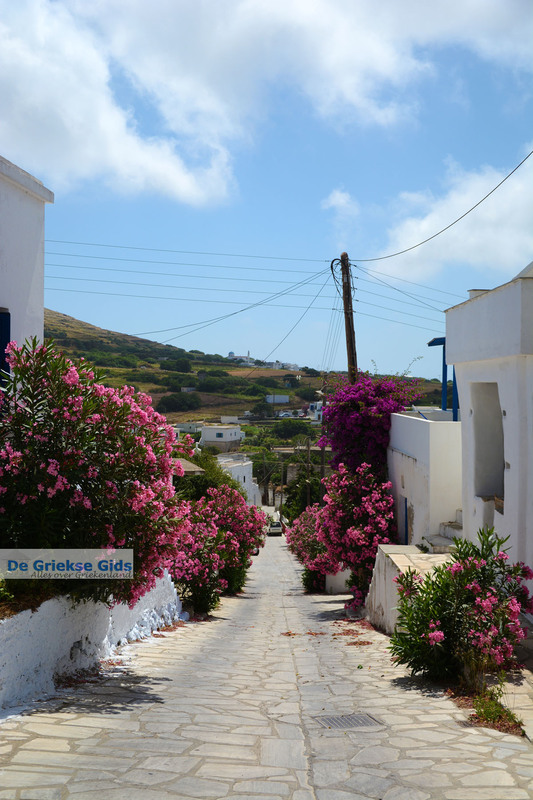 The inhabitants are mainly farmers. 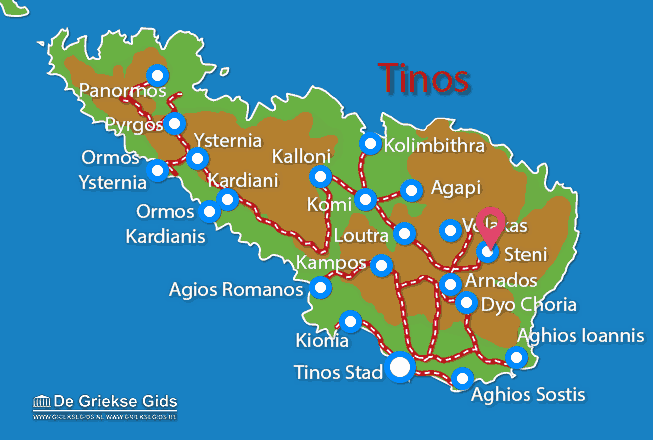 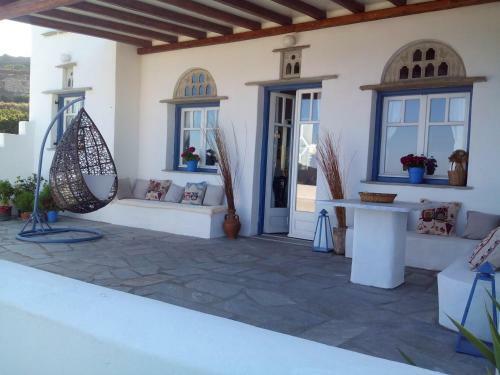 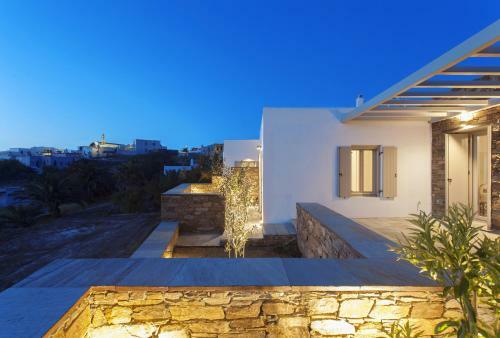 Tinos: Where on the map is Steni located?